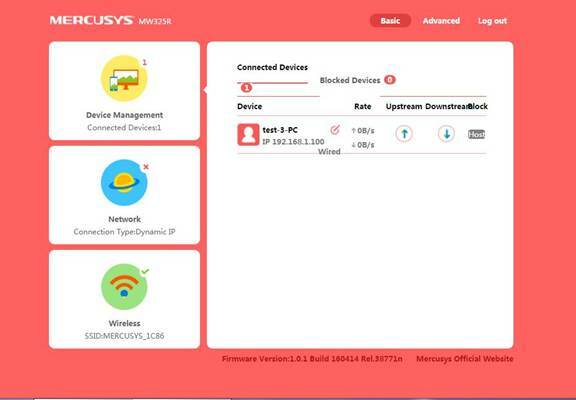 The web-based management page of MERCUSYS routers is a built-in internal web server that does not require internet access. It does however require your device to be connected to the Mercursys router. This connection can be wired or wireless. It is strongly recommended to use a wired connection if you are going to change the router’s wireless settings or upgrade the firmware version of the router. Step1a: If Wireless, connect to router’s network. Step1b: If wired, connect your Ethernet cable to one of the LAN ports on the back of your MERCUSYS router. The Domain name differs by model. Please find it on the bottom label of the product. 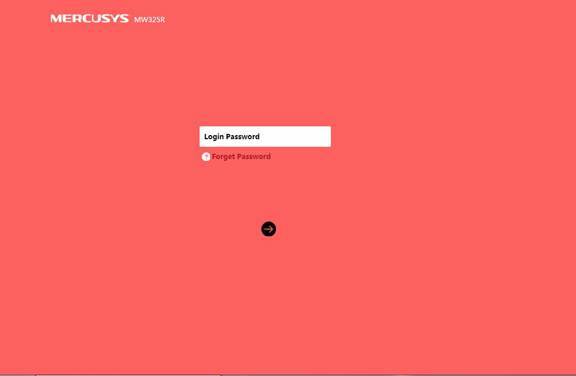 Make a new password on the login page. The password would be 6-15 characters and it should be case sensitive. Click on the arrow to login, you can then login to the WEB based management page.